OTTAWA, Ontario – Do you have an animated series idea that needs to be seen? Are you looking for the perfect audience to present your idea? Put together your best pitch and submit it to PITCH THIS! a program that takes place at TAC (The Animation Conference) from September 17 to 19, during The Ottawa International Animation Festival. Presented by 9 Story Entertainment, PITCH THIS! offers producers the opportunity to reveal one new project to the TAC audience, which includes over 300 potential buyers, financiers, partners and broadcasters from around the world. It is 10 minutes to WOW the conference’s panel of industry leaders, including major names in animation broadcasting, as well as our new Kids Jury. Producers and audience members alike will learn from the valuable panel feedback. Warren Brown & Adam Goddard pitched their idea for the series Big Block Singsong at TAC in 2009 and now it’s a hit around the world, airing on CBC, Disney Junior and Nick Jr. Get your idea noticed, and become another success story like Mike Geiger, who pitched Winston Steinburger and Sir Dudley Ding Dong in 2010, a series which has now been green lit for production by ABC3 and Teletoon. TAC will be accepting proposals by email at tac@animationfestival.ca until the new deadline of Thursday, July 31st, 2014. Two selected proposals will win three (3) nights of accommodation (value $600 each) during the event plus one (1) complimentary all access TAC Anima pass (value $540 each) per proposal. Proposals for projects should be aimed at children age 6–12. Please include a project synopsis, including target audience, format, and rough budget (1–2 pages). The package should also include one episode synopsis, bios of key executives, a short paragraph indicating your current stage of development, concept art (2 or 3 images), and any additional information such as merchandising or interactive components. For more information on TAC and The Ottawa International Animation Festival, please take a look at our website at: www.animationfestival.ca. 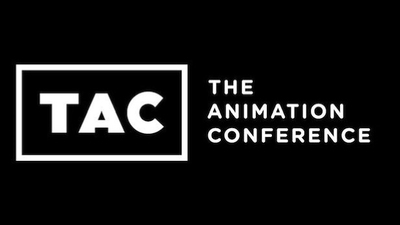 The Animation Conference is North America’s only event that lets you pitch, network and keep up with industry trends, while giving you access to the most creative, original and innovative animation out there. This animation business forum is designed for professionals in content creation, development, production, distribution and marketing. TAC brings together key players in North America and international markets and provides a forum for active networking, practical information exchange, and trade in a comfortable and intimate environment. TAC 2014 will be held September 17–19 in Ottawa at the historic Fairmont Chateau Laurier. This entry was posted on Wednesday, July 16th, 2014 at 10:04 am	and is filed under News. You can follow any responses to this entry through the RSS 2.0 feed.